Farm Girl Pink....: ~ Vintage Christmas cards... the pretty ones! Not that I had intended to be so late for posting the great holiday stuff I have collected. But life just gets in the way. But I did come across some wonderful vintage cards in eBay. That all need a new home. I am always thrilled when I see these older cards in pink. I adore vintage pink Christmas decorations. And having a great pink card makes it all too perfect. 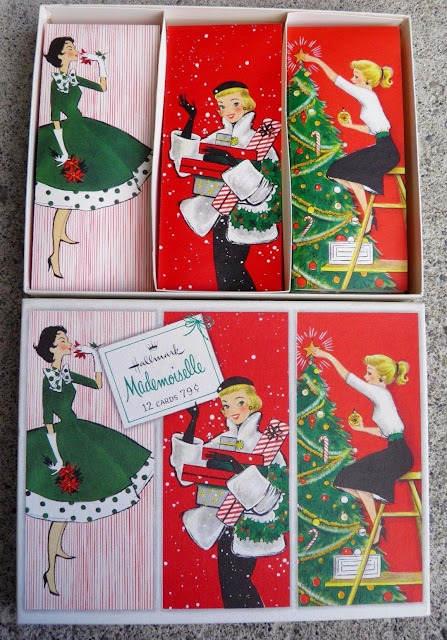 There are oodles of these vintage card sets for sale. It just takes a little time to roam through them all... and then there are so many to chose from to full fill those vintage card dreams. Wow! Lovely post. Your Christmas card looks so beautiful. I liked it very much. Thank you so much for posting this! I was searching for best essay writing service review online on google, and came all the way to this website.